Apptimize, Inc. announced today that it has appointed Craig Gering as Vice President of Engineering. Gering brings significant expertise leading all facets of product development and a passion for all things mobile, embedded, and web. As Apptimize extends further into the cross-platform space (web, mobile, OTT, and server), Gering will help Apptimize innovate on all channels to bring truly holistic solutions to digital marketers, product owners, and developers. “Apptimize is extremely excited to have Craig onboard due to his extensive experience building software products for the mobile and web markets. He’s going to help us get to the next level of engineering efficiency and scale without compromising performance and output,” said Reed Taussig, Apptimize CEO. 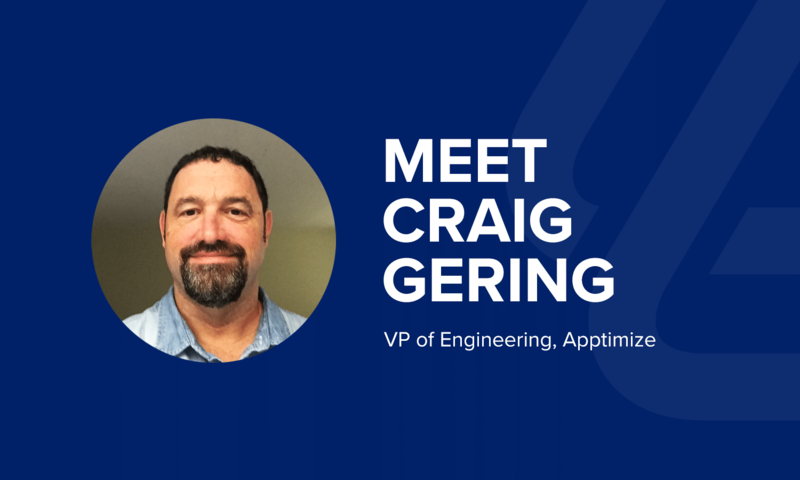 Craig joins Apptimize from Sencha, where he led development of industry leading web application frameworks. Prior roles at Oracle/Sun Microsystems include leading the team delivering the Java Platform to billions of devices, and directing development of portal, identity, content delivery and network management platforms. Craig holds a B.S. in Computer Engineering from Bucknell University.